Joe, who hails from a family farm near Woomelang in the Mallee, was nominated as a Heywire Trailblazer for his effort to use tourism art to stimulate his struggling town’s economy. The concept: to display eight large-scale murals of local endangered species throughout the Woomelang township, hopefully making the town another fixture within the Victorian Silo Art Trail. Last week, Joe headed to Federal Parliament to ‘pitch’ his project, alongside 13 of his fellow Trailblazers. In his own words, “it was an epic and exhausting experience”. 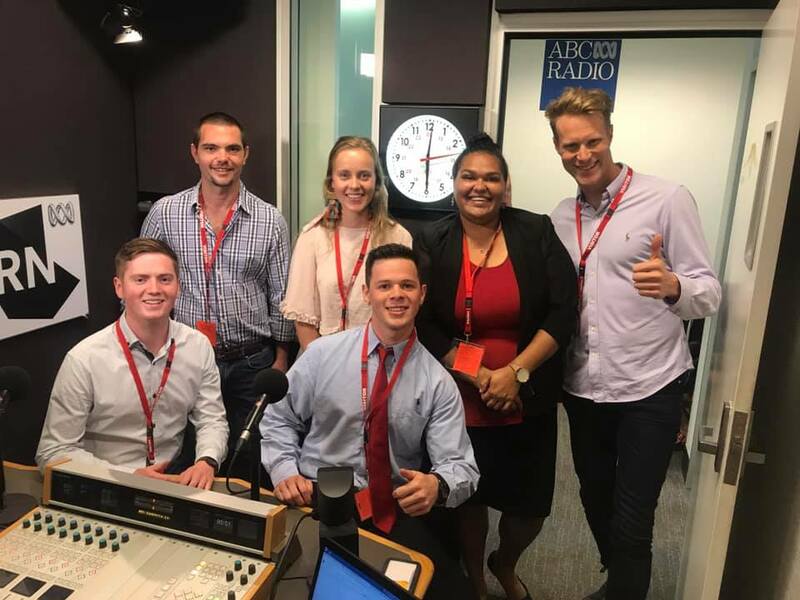 “We did so many things throughout the week in Canberra; from the moment we touched-down until the moment we flew out again, it was go, go, go,” he said. So, what now for our Trailblazing Joe? “Well, we each pitched our projects in parliament and, for me, I kind of turned the concept on itself,” Joe said. “Like, it wasn’t just about saying ‘hey, my idea is to paint some pictures of endangered animals in my town’ but rather ‘hey, this is one idea for one small town to draw tourists because unless we try something we — the town — will become endangered or extinct like these animals’. Joe (bottom left) in the Triple J studio for "Hack".